I can’t believe it’s been a year since I started blogging. I’m doing a giveaway to celebrate. But before I get to that, I want to share some things I’ve learned from my first year. 1. Do you ever get beaten over the head with a lesson? For me, it’s that things happen when they are meant to be. This has happened to me a number of times with important events in my life. Years ago I fretted about not getting promoted to a manager at my job. But by the time I had a chance at a promotion, I realized it wasn’t right for me or my family. It was like the universe was looking out for me. And when my husband and I made the decision to adopt, I was so impatient for the process to be completed. But adoption is a WAIT. Like getting an agent and being published. Sometimes I would go to such extremes to speed up the process like drive 3 hours to our capital before work (yes, I really did that) to get documents authenticated that would have been returned in a few days if they were mailed. In the end, we had to wait longer anyway because of an organizational change in the Chinese governmental departments that processed the adoptions. But it worked out for the best because my daughter is the perfect kid for our family. It’s been the same with blogging. I’d been reading blogs and commenting for years. I actually planned to start a blog the year before but got too busy planning a big family reunion for my mom’s 80th birthday. It worked out SO much better not to start a blog on my own. Again the universe knew better than me. Hopefully it’ll be the same with getting an agent and getting published. 2. Casey is the best blog partner I could ask for. I’ll share a secret Casey doesn’t even know unless she reads this. I secretly wished to be her blog partner for at least a year before she posted that she was looking for a partner. I even thought about it a month before she posted her request. But I never asked because of those negative things we tell ourselves, like she wouldn’t want a partner, she wouldn’t want me, etc. Like what we tell ourselves about our writing sometimes. And she’s let me do exactly what I always envisioned I’d do with blogging—promote authors, mostly debut and middle grade, interview kids, and do an occasional personal post. Seriously, she is such a nice person. I couldn’t ask for a better partner. I hope one day we get to meet in person. But it’s so cool how we’ve gotten to be friends through e-mail. 3. You guys are so awesome and supportive. It’s been amazing watching our blog grow and making so many new friends this year. I love the blogging community of both writers and book review bloggers. I’m grateful for your friendship. 4. Finally, I’ve realized that blogging is work, even blogging once a week. Like a lot of work. And it does take away from writing. But I really enjoy reading the books and making connections with all the authors I’ve interviewed. And I admire those of you who blog daily or a couple times a week. So now to my giveaway. First, I’m giving away two copies of THE SCORPIO RACES, one with a swag bracelet I won. As many of you know, I’m a huge fan of Maggie Stiefvater. I’m also giving away some older books that I hope you’ll enjoy. Sorry, my husband might get upset if I go on another Book Depository shopping spree. Here’s the choices. So what have you all learned from blogging if you blog? And to enter the contest, all you need to do is be a follower (just click the followbutton if you’re not a follower) and leave a comment by midnight on February 18th. Tell me your top two choices and I'll try to match the books to the winners. I’ll announce the winner on February 20th. If your e-mail is not on Blogger, please list it in your comment.International entries are welcome. If you mention this contest on your blog, Twitter, or Facebook, please let us know in the comments and we’ll give you an extra entry. Here's what's coming up. Next Monday I'm interviewing debut author Kristen Simmons with a giveaway of her debut book ARTICLE 5. The following Monday I'm interviewing a teen for my ASK THE EXPERT series who is a debut published author and giving away a copy of her book and an ARC of another recently published YA book I know you'll want. So hope to see you next Monday! Congratulations on a great first year. Congrats on the year mark! Keep up the dedication and good work. Congratulations on your blog! I can now also picture our Blogversary on May which marks our 1st blog-birthday since my friends and I started book blogging too (Teen Readers' Diary). I really wish I could win Scorpio Races (because I'm also a big fan of Maggie S.) and I would love to have a copy of Leviathan too! Hey, congrats on both of your first years! It's great to have a friend to be beside you doing the things you both love. :) Congrats, and thanks for having this amazing giveaway! Congrats! to Sharon. I know her. And also Congrats! on the one year milestone. Great you have a blogging partner. Not sure if I could have one as I have a tough enough time getting along with myself. At least that's what he says. Thanks Natalie, for another personal post - it sounds like you've also been doing some thinking about the future changes that might be in store for you with your job - and you're right, the universe is looking out for you! And thanks to both Natalie and Casey for being supportive in my blogging efforts over the past year! My #1 choice would be Leviathan, and everything else looks great except Scorpio races which I already have. Wonderful giveaway, thank you! I know that I've learned that in blogging you get what you give, unless you're some weird superstar. You can't just blog and expect a million people to follow without visiting other blogs. Congrats! So exciting!!! THank you so much for the amazing giveaway! My top two choices would be TELL ME A SECERT and INSIDE OUT. HAPPY BLOGOVERSARY!! Yay for Sharon Mayhew too - she's brilliant!!! Congratulations! You're doing a wonderful job blogging:) Yes, it is lots of work, but the online support is awesome. I enjoy reading your blog and am glad I found it. I started a blog last year and have learned that I need to post regularly and read and follow other people's blogs. 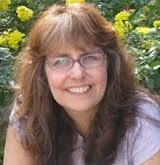 I figured out how to post pictures and videos and design parts of my blog, and am trying to learn to customize my blog. If I win I'd like Leviathan. After that I'm not sure. Maybe My not so Still life. My email is alice beesley at hotmail dot com. Thanks for the opportunity and congrats on the first anniversary of your blog. You've had tremendous success! Happy blogiversary! I love this blog. It was so much help to me while I was querying. 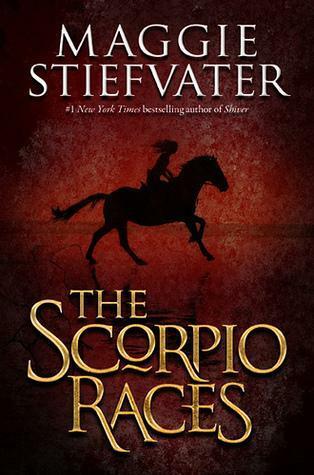 My top choices of books are Scorpio Races and Leviathan. My email is bethany.hensel@gmail.com. Congrats on your one-year mark! It's cool to hear another person started off as a reader/commenter, and yes, Casey is definitely a class act and I'm sure she's just as glad to have you as a partner. My choices would be Scorpio Races and Leviathan. Thanks! Thank you for celebrating your one year mark with the giveaways! While blogging does take time away from writing, I find I love it because it helps me think through my writing in a different way than if I simply contemplated it all inside my head. The connections and support from blogging have been amazing for me too. Thank you for the giveaway. I agree that blogging takes time away from writing, but it also helps me to focus what it is I do like about the books I read. My choices for the giveaway are Inside Out and Leviathan. Congrats on your year mark. I've appreciated all your insight and comments. You keep me motivated...and that's the best part of this community. Hey! Happy Blogoversery to you both...you make an AWESOME team, you know? Here is to another year of wonderful for Literary Rambles. What I am learning about blogging this first year is to go with the flow and be myself--just follow the passion and the rest will come. And what Shannon said...it is a huge amount of work but man oh man I love every single moment! Eek, my choices would be first...Scorpio Races Second Leviathan. Thanks! Congratulations on your blogversary, Natalie! 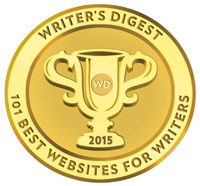 I have truly enjoyed your posts over this past year; you and Casey have done so much for writers! Thanks for offering this generous giveaway, too. I would be delighted with any of those great books. 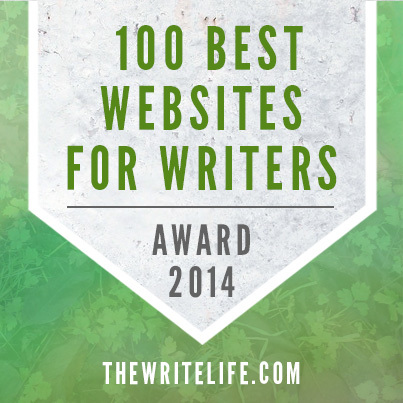 Congrats to Sharon, and to both Natalie & Casey for having one of the best blogs out there. 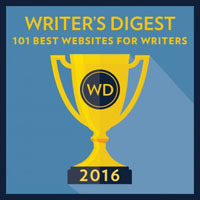 This is a tremendous resource for all writers and the time and energy you put into it is sure appreciated. Congratulations! I agree that blogging is work, but like you, I can't imagine my writing life without it. The friendships, support and fun that I find among my friends in the blogosphere is essential for me! And the only book I've read is LEVIATHAN so I'd be happy with any win! But mostly I just want to say ... Happy Blogoversary! Congrats for reaching the one year mark! Natalie, congratulations on your blogversary. I love your interviews, contests, and insights. I am a great believer, too, in things happening when the time is ripe/right. You and Casy make a great team!! Huge congrats on hitting the one-year mark. And you've brought a lot of new followers to the blog. Thanks for all you both do for the rest of us. When I'm back from Revision Beach, I'll be studying your agent info very closely! And thanks for yet another giveaway. My choices would be Scorpio Races first, and Inside Out second. Congrats! Eyeing Scorpio Races. Go Maggie! Of course I'm here to congratulate you on a year!! But my eye was really drawn by the post on adoption. A co-worker of mine that I've worked very close with for the past five years has been attempting to adopt (with his wife) for the past 5 years. They would make the perfect parents and it's heartbreaking - over and over and over - to watch it fall apart. Glad you found your perfect daughter and wishing them the same! Congrats on the one year milestone, Natalie! 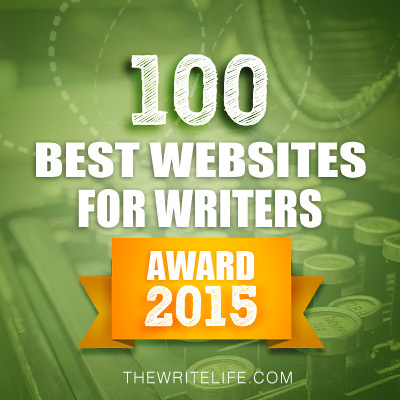 I couldn't imagine writing without the support I've gained through my blogging friends. It makes the time I lose from writing worth it. It's been a year? It feels like I have followed this blog much longer than that. Congratulations, Natalie. You have! Natalie has been my blog partner for a year now but Lit Rambles has been around almost four years. Great post! I can't believe it's been a year. It seems like you've always been part of this blog, but then again, I remember your first post. Weird, huh? 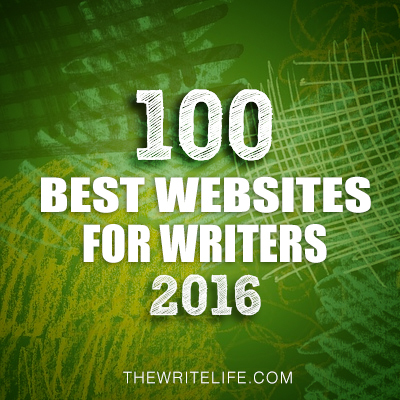 I've learned that being part of the writing community is, for me, as important as the writing. It's time consuming, but it's making me a better storyteller, a better writer, a better person. So it's worth it. I seriously cannot believe it's been a year already. Feeling some whiplash over here!! You're too sweet, Natalie. How fun to learn you wanted to be my blog partner all that time. Things really do work out how they're meant to be, and I'm glad fate brought us together. Can't wait to see what the future brings us! Thanks for the giveaway and congrats on your blogversary! Tough to choose from the great books you are offering, but my top choices are The Scorpio Races and Tell Me a Secret. Happy Blogversary!! You guys do an awesome work on the blog! 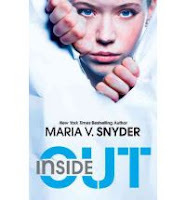 My top book choices would be: The Scorpio Races and Inside Out. Thanks for the giveaway! Following on GFC as Veronika and also subscribed by email. I don't know the books well enough to have a top two, so if perchance I win, anything is fine. I've really enjoyed blogging. It gives me a chance to talk about books, something I never tire of. I also enjoy interacting with others who love reading the way I do. Congrats Natalie! I've always loved Casey and now with you here, I have another reason to come to this awesome site. Your post today was really appreciated. I, too, have to keep reminding myself that things will happen when they are supposed to. It's so hard to be patient! Thanks for all your great work. Congrats on everything you have achieved! I love all the interviews you have on your blog!!! And thanks for the awesome giveawayys! You've done an amazing job so far, Natalie. Happy blogaversary! I've also learned how much work blogging can be but it's so rewarding. I'd love to read Scorpio Races or Leviathan. Off to tweet your post (I'm already a follower. Happy Blogoversary to you! As a blogger, I've learned many things. MOst importantly, that I am not alone in this world as I sometimes feel I am. There are others who enjoy the same books and things as I do. And it's amazing to see bloggers pull together to help each other, like a family. :) If I was lucky enough as to win, my picks would be Inside Out by Maria V. Snyder and Scorpio Races by Maggie Stiefvater. Thank you for letting me celebrate with you! wow! Happy anniversary. I've learned how incredibly supportive the blogging community is. I love blogging. Congrats on your first blogoversary! My top choices are Inside Out and Leviathan. Big congrats, Natalie. And yes, blogging is work but so is writing, or, at least, I hope it will be MY work soon and I look at blogging as preparation. 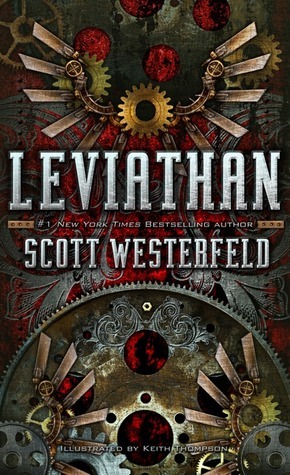 I haven't read any of those books but I do like Scot Westerfeld so I guess LEVIATHIN would be my first pick. But any book would be awesome! Congrats, Natalie! You absolutely rock the Monday posts. I always love them, and look forward to them. And I can't believe it's been year. I'll tell YOU a secret. I envy Casey regularly because she has you! :D You do so much for the kidlit community! I have learned that there are SO many book and book blogs out there and that it is very easy to spend all your time doing that! My two choices would be The Scorpio Races and Inside Out. Thank you for the awesome giveaway to celebrate :) Please count me in for My Not-So-Still Life and Tell Me A Secret. Thank you! Thanks for sharing! I think blogging is one big lesson in itself; I've been doing this a couple years now, and I've had so many highs and lows, but learned so much. I think the biggest thing for me was finding my voice as a blogger--and then learning how to let that voice change as I changed. Congrats on making it a year! I've just gotten started, and it's such a HUGE undertaking! Yay, you, for succeeding! I'm a huge fan of this blog - it helped me sooo much while I looked for an agent! I'd love Scorpio Races or My Not So Still Life, but any of them would be great! I'd love a copy of Tell Me a Secret and Inside Out. Thanks! Happy Blogoversary! More to come!